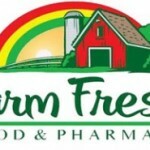 Farm Fresh is a supermarket chain with about forty four stores in Franklin and Richmond, Virginia, Elizabeth City, Wilson, North Carolina, Hampton Road. The American based supermarket aims at providing a one stop shopping service to its customers. The company operates as a subsidiary under Eden Prairie, Minnesota-based SuperValu. The Fresh Farm Company was founded in the year 1957 and its headquarters is situated in Virginia Beach, Virginia, United States. The product of Farm Fresh includes bakery, pharmacy, produce, seafood, snacks, wine, beer, dairy, deli, frozen foods, general grocery, meat, etc. The company has a quality nationally recognized brands.